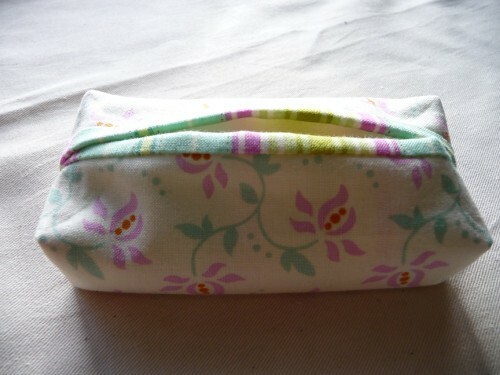 I had some sewing time today and I made a tissue case (Look in list for tissue project). A simple little project and a really good one to get me going again. 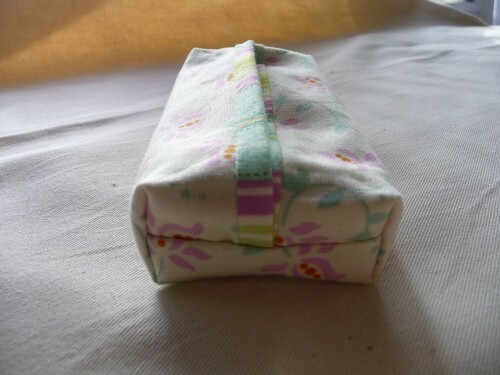 It is good fun to pick the fabrics to coordinate together! 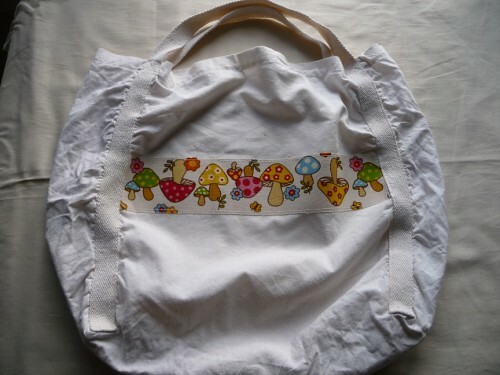 I also embellished a fabric shopping bag. My daughter started using this bag a few days ago and it had a boring supermarket logo on the side.. so I've made it more kid friendly and hidden the logo away.